STANDARD bouquet is approx. 17H x 14W. 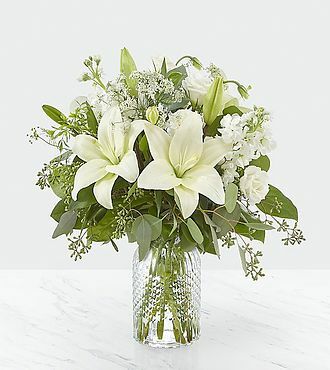 DELUXE bouquet is approx. 18H x 17W. PREMIUM bouquet is approx. 19H x 18W. "The funeral flowers for my great aunt were delivered on time and were just beautiful. I was delighted with your efficiency and excellent product. Thanks for your outstanding service!" -- Susan S.